Installing and managing a VoIP system at a large company is relatively easy, because most enterprise-level organizations possess the network capabilities to support an internet-based voice service. Small businesses face a much tougher challenge, keeping in mind their current infrastructure and determining whether they can implement a VoIP system without compromising overall IT performance. Implementing a small business VoIP system at an organization with inadequate bandwidth, among other necessary resources like proper routers, will not only limit the capabilities of the system itself, it can hurt the organization as a whole. Understanding the requirements for a VoIP system will help you not only determine which solution is right for your business, it will allow you to optimize your infrastructure to maximize performance in key areas such as connection speed, call clarity and bandwidth efficiency. Your router can prioritize VoIP – If you can configure your router settings to prioritize certain applications, VoIP should receive top priority. If VoIP is not prioritized, you run the risk of dropped calls and clarity issues, and you may have to limit the number of users on the phone at once, which hurts productivity. This is a fairly simple task, depending on your router. Most VoIP systems use the G.711 codec for communications – You will find this with most providers, including the Allworx phone system. This consumes roughly 64 kilobytes of data per second while you are on the phone, which is important to consider if you have to be mindful of bandwidth usage. Your internet provider may have a bandwidth cap in place – This isn’t exclusive to any particular size organization, but it can have a bigger impact on smaller businesses, particularly if overage fees are applied. Even if overage fees aren’t applied, your ISP could throttle your service and significantly slow down internet speeds, which will negatively impact VoIP performance. 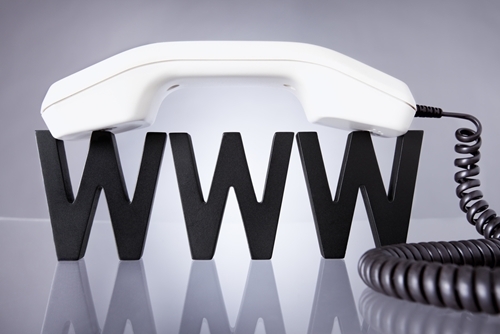 Telecom Solutions, Inc. can help manage your voice and internet services to ensure you have the bandwidth to successfully implement and operate a VoIP system. Contact us for more information on our VoIP commercial telephone systems and how they can help your small business grow. This entry was posted in VoIP on August 13, 2014 by Josh Reid.